Our focus with Clibu’s development has been to get it working well on Desktop Web Browsers. Then once we reached that goal we’d move onto providing a full featured Smartphone and Tablet experience. And that’s precisely what we’ve been working these past few months. In fact we’ve gone beyond our initial plan and have begun comprehensively updating Clibu to transform it into a Progressive Web Application. This enables Clibu to automatically adjust its user interface and functionality to run on any screen size from small smartphones, to tablets to desktops, giving you all of Clibu’s capabilities on any device. This animation shows Clibu on a tablet. You will notice the hamburger menu button at the top left and slide out panel typical on mobile applications. 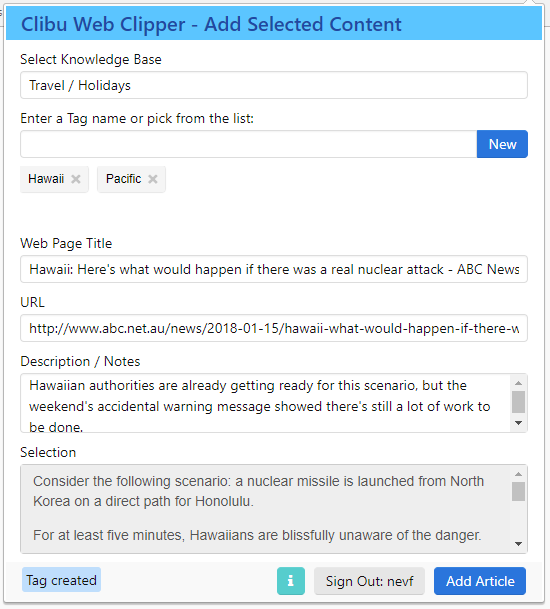 The top navigation bar has changed and instead of three separate side panels from the Desktop user interface, there is a single panel which changes between Knowledge Base, Tags and Articles. Apart from what you can see here, nearly all of Clibu’s user interface has been updated to work effectively and efficiently on small screens, while retaining all the Clibu’s functionality you are used to on your Desktop Web Browser. Next you can see Clibu on a Smartphone. 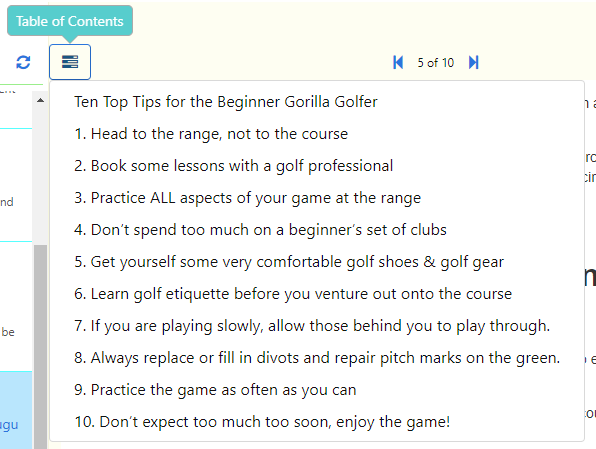 The article editor toolbar changes to occupy a single scrollable row, minimizing screen space. You can also see new round buttons to edit and add articles. You will also notice the UI for adding a Tag has changed to use the full display area. All of Clibu’s dialogs work this way when running on phones and tablets. And they scroll vertically to move out of the way of the on-screen keyboard. Some further UI refinement may be needed, but overall Clibu is now very usable on our small smart devices. In hindsight it might have been prudent to start with Mobile in mind, however a lot has changed since we started developing Clibu and supporting small screens along with all the developments in PWA’s has come a long way in the last few years. We are most of the way through development of the next version of Clibu with smartphone and tablet support, however as you can well imagine we have a lot of testing to do, to ensure everything works correctly across devices and their various screen sizes. We’ve been quiet on the Blog for a little while and now you know why. I am excited about the forthcoming release which opens up Clibu to work on all of our devices. Stay tuned. We’ve just released a major update to the ‘On Premise’ version of Clibu. The ‘On Premise’ version (Clibu OP) enables you to run Clibu on your own PC or Server with all data kept locally. For various reasons Clibu OP had fallen somewhat behind our hosted cloud version (Clibu Cloud.). Over the past few months we’ve put considerable effort into updating the tooling and refining the workflow required to build Clibu OP. This will enable us to keep Clibu OP releases in sync with Clibu Cloud from now on. You may in fact notice that the new Clibu OP release is actually ahead of the current Clibu Cloud version. This is because we’ve done a major update to the server as well as many of the Browser modules and we aren’t quite ready for these to go live in Clibu Cloud just yet. 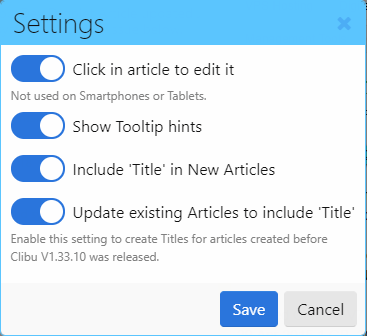 Clibu OP also has some new features which we’ll tell you about once we complete work on the next Clibu Cloud release. 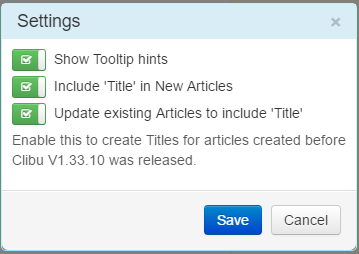 As a teaser some things we are working on include the ability to attach files to Clibu articles, the ability to drag images from your operation system File Explorer and drop them on Articles and new Article Titles to name a few. For those already using Clibu OP you need to update MongoDB (the database we use) to the latest release, V3.4 as noted here. 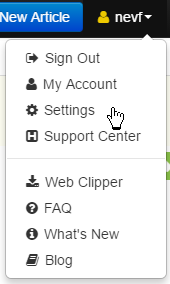 If you are interested in using Clibu OP open a support ticket telling us why and what you want to use Clibu for and we’ll get back to you with details. Note that Clibu OP runs on Windows only at this time, however you can access it using a Browser on any operating system that can connect to the Windows PC. The latest Clibu Web Clipper now works with Clibu OP, see here for details. For more information on Clibu OP, these older posts will be of interest: Clibu v1.30.40 Released – Install and run it on your PC/Server and To Cloud or not? Finally thanks to Graham Rhind for his assistance with initial issues with the new Clibu OP.